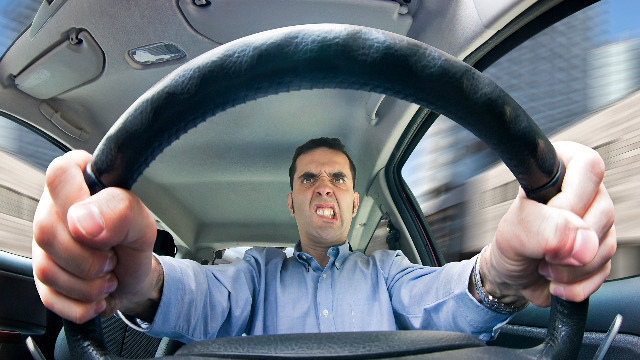 Road rage is bad for your health—there's no other way to put it. All the stress, anxiety, negativity, aggression, and ill-will that you get from being a "rager" does nothing for you. And your road rage is no good for fellow motorists who might have the misfortune to experience it, too. When you feel the tension building up because someone didn't signal before turning or is hogging the overtaking lane, remember these tips for keeping a cool head while driving. Just let him through—he's obviously in a rush and going faster than you. Besides, getting bumped by a speeding motorist isn't worth the hassle. Remember: driving in the city isn't a race. Let him be caught by the authorities for over-speeding. That really slow person in front of you? Maybe its a senior citizen who still enjoys his wheels. The person who braked abruptly? What if his foot just slipped? You don't know what's going on inside other cars, so don't act hastily. Someone abruptly cut you off? Are you really going to chase him or her down and give them a piece of your mind? Is feeling angry really worth it? Probably not. So take the high road and let it fizzle away. That's the art of keeping it cool. On days like these—when temperatures are high, literally and figuratively—be sure that you've got the tools to keep a chill noggin'. Aside from adopting a zen-like attitude toward driving, give yourself an edge by using CLEAR Cool Sport Menthol Anti-Dandruff Shampoo. Not only does the menthol give your scalp a blast of icy freshness, Nutrium 10 also effectively addresses dandruff and other scalp problems. Music calms the savage beast, right? Maybe not all music. Keep your tunes neutral and light; don't fuel your road rage fire with an ultra-political death metal rush hour playlist. Does your anger on the road stem from something that's happening elsewhere? If you find out that it does, then the best thing would be to address that first before getting behind the wheel so it doesn't manifest on the road. Responsible driving and not losing your head, both figuratively and literally—that's the way to go.